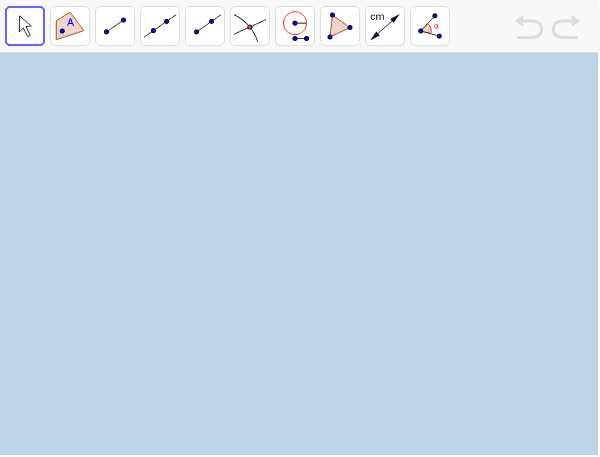 In the applet below, use the tools of the limited toolbar to construct an angle that measures 45 degrees. After doing so, use the Angle tool to verify that this angle does indeed measure 45 degrees. Hit the "Start Over" button after you've successfully completed the task above. Then, use this same applet to construct an angle that measures 105 degrees. Hit the "Start Over" button after you've successfully completed the task in Question 1 above. Then, use this same applet to construct an angle that measures 165 degrees.